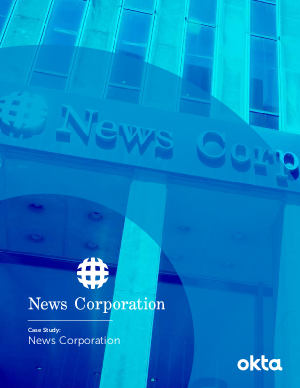 Offers > Okta > News Corp transforms media. Okta helps all 25,000 global employees connect. Collaboration across the global enterprise.